Well trained dogs are welcome with prior approval only. Sorry, puppies and cats are not allowed. Dogs are not allowed to remain unattended in the Lodge. Dogs that chase deer must be kept on a leash. Dogs are not allowed on beds, furniture or in the pond. Each dog incurs an additional charge of $15/ dog per day. Please bring bedding or kennel for your dog. Visitors will be held fully responsible for any damages created by dogs. 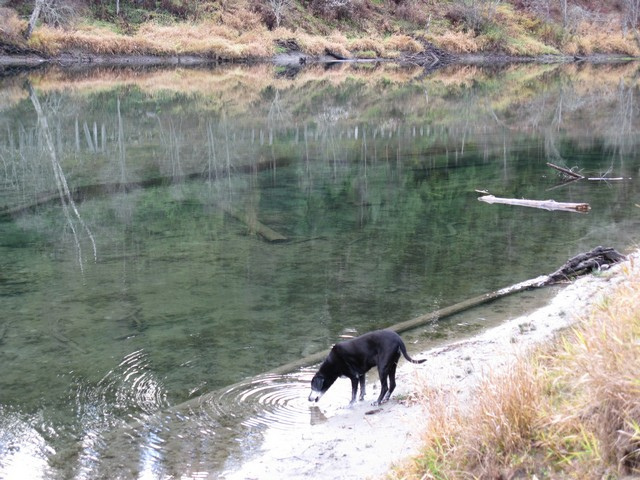 The Bark and Roll Inn – Home-style dog sitting on the Slocan River. Frog Peak Pet Resort – 5 indoor/outdoor kennels. Fenced acreage.